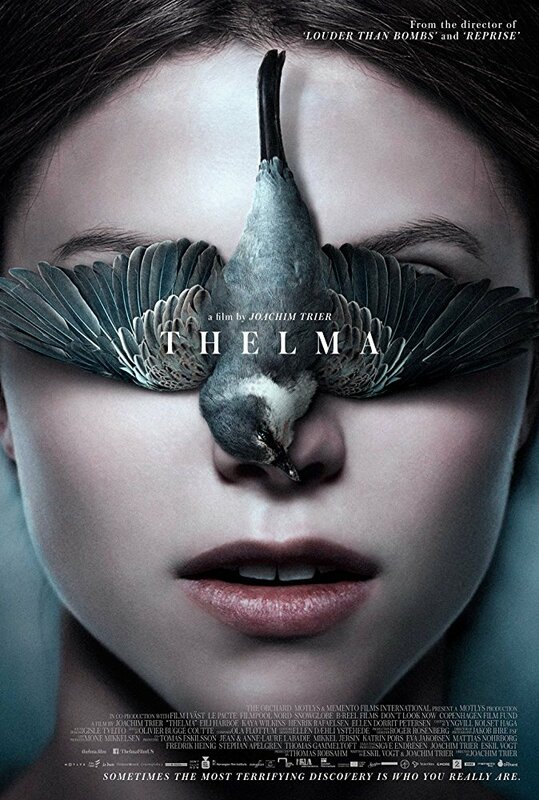 The Orchard has debuted the trailer for the upcoming Norwegian horror film "THELMA". The film is set to have its world premiere at Toronto International Film Festival, followed by a US premiere at Fantastic Fest and screening at the New York Film Festival. Directed by Joachim Trier and co-written by Trier and Eskil Vogt, the movie stars Eili Harboe, Kaya Wilkins, Henrik Rafaelsen ("BABYCALL"), Ellen Dorrit Petersen ("VILLMARK 2", Ludvig Algeback, Isabel Christine Andreasen ("FLUKT") and Camilla Belsvik. Synopsis : Thelma, a shy young student, has just left her religious family in a small town on the west coast of Norway to study at a university in Oslo. While at the library one day, she experiences a violent, unexpected seizure. Soon after, she finds herself intensely drawn toward Anja, a beautiful young student who reciprocates Thelma’s powerful attraction. As the semester continues, Thelma becomes increasingly overwhelmed by her intense feelings for Anja – feelings she doesn’t dare acknowledge, even to herself – while at the same time experiencing even more extreme seizures. As it becomes clearer that the seizures are a symptom of inexplicable, often dangerous, supernatural abilities, Thelma is confronted with tragic secrets of her past, and the terrifying implications of her powers.